Have you noticed lately how popular subway art is in home decor? It fits in so well with many different styles but I like it especially mixed in with shabby chic. 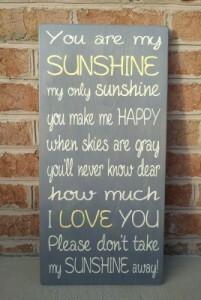 This is why I am so excited to introduce you to a store that carries painted wood signs of great quality. Signs Of Elegance has a wonderful selection of subway art and custom wood signs. I love the rustic tuscan look of this wine word art with the names of all of the grapes and wines. The painting affect kind of gives it a look of being on a slab of slate. I don’t always see that kind of detail. This House Rules sign is a great list of rules for any home to live by. The positive words are good reminders for every day. Greenville just happens to be about an hour away from my cabin! 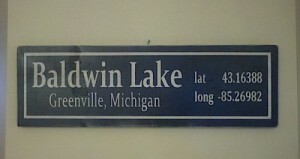 This is such a fun destination sign for your vacation home or other favorite place of interest. 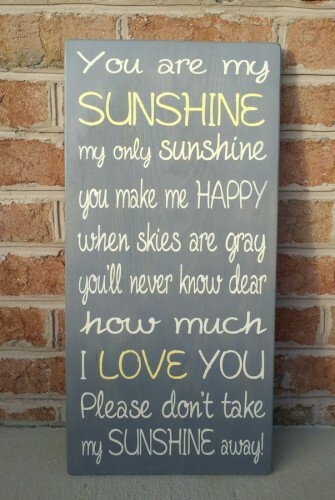 There are so many different signs plus you can also get custom signs made exactly the way you want, that you really need to visit the shop. I’m sure you are going to like it just as much as I do! 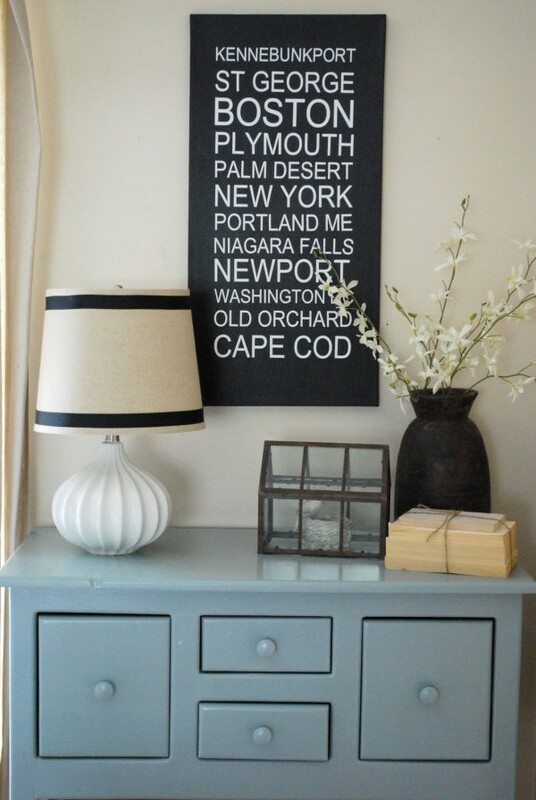 Just so you can visualize how a sign may look in your home, I found just a couple of pictures of other subway art used in home decor. These signs are not made by Signs Of Elegance and the pictures are shown just to give you some ideas for decorating with the subway art. 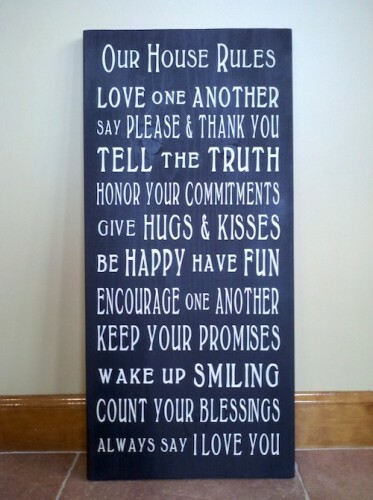 However, if you like any of the wording, you could get your own custom sign made by Signs Of Elegance. This shabby chic setting done by The Shabby Nest looks great with some subway art. 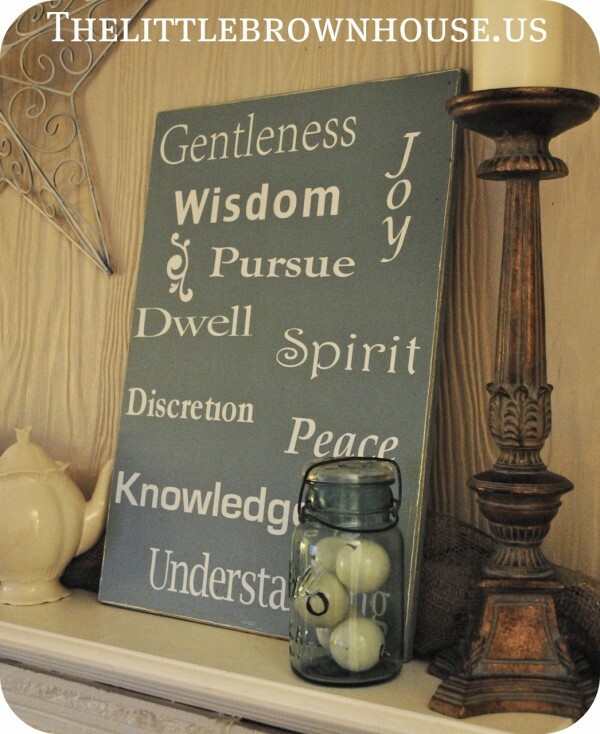 I can picture the House Rules sign here or any of the other inspirational word themes! Here is an example of subway art being used on a fireplace mantel by The Little Brown House. See how it is combined with an old mason jar, a shabby candlestick and star? It looks great with this kind of styling!